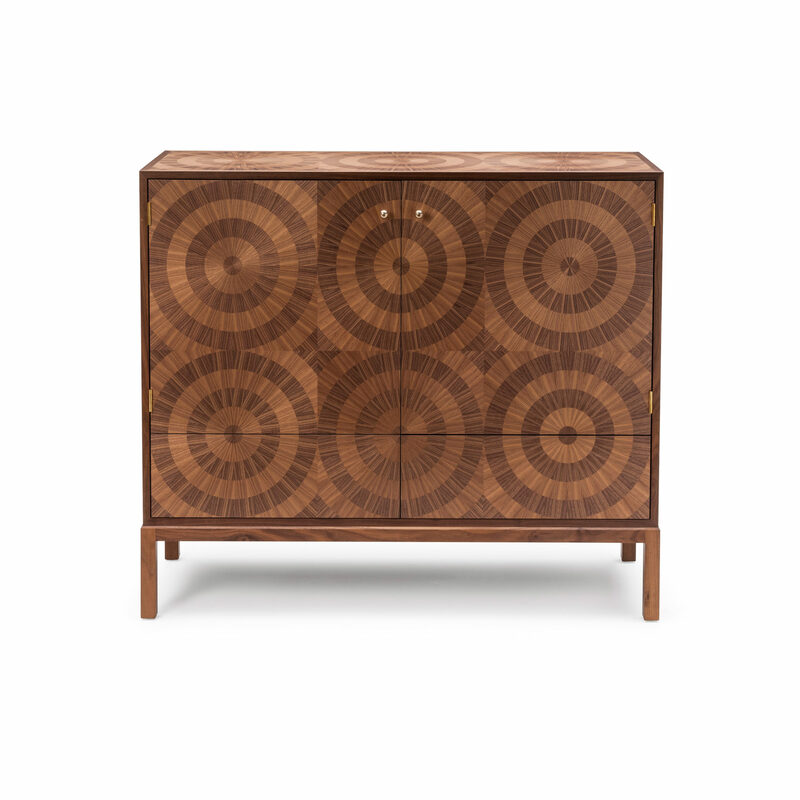 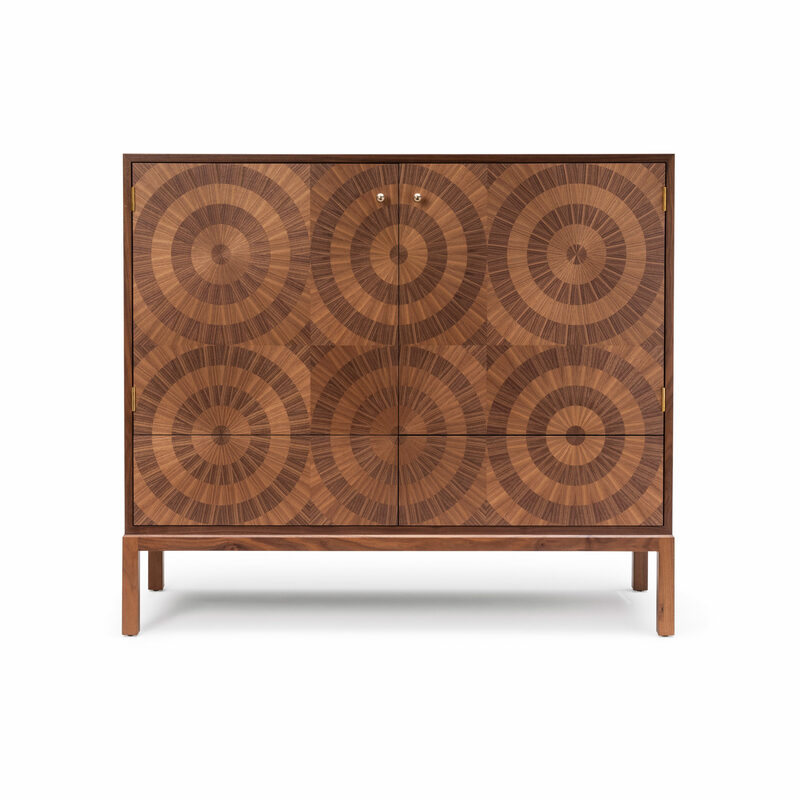 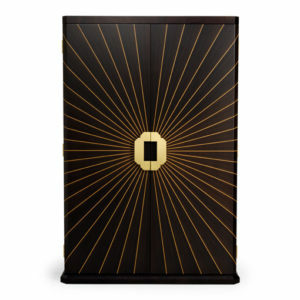 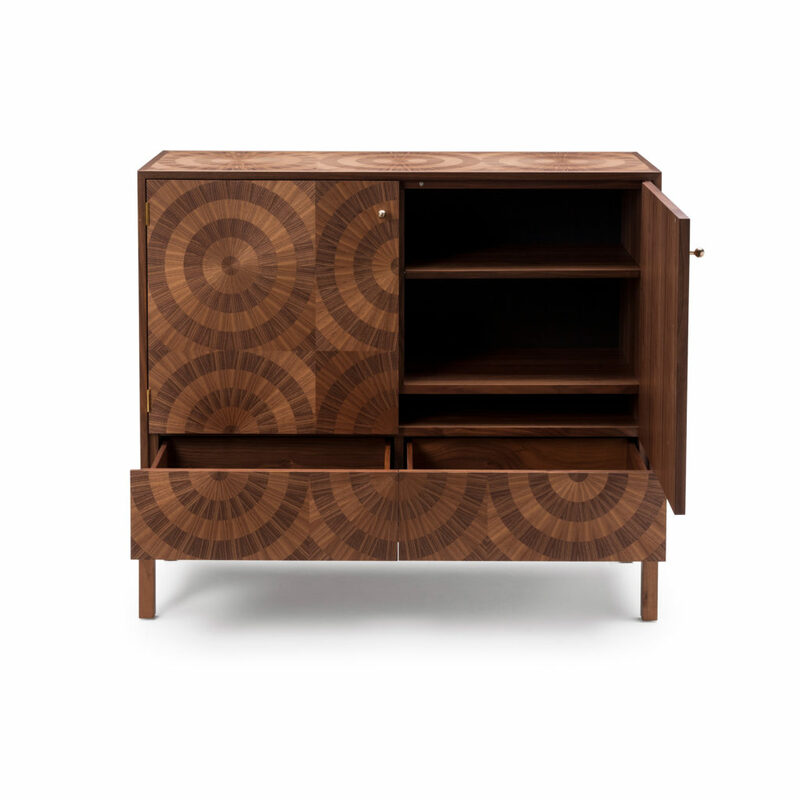 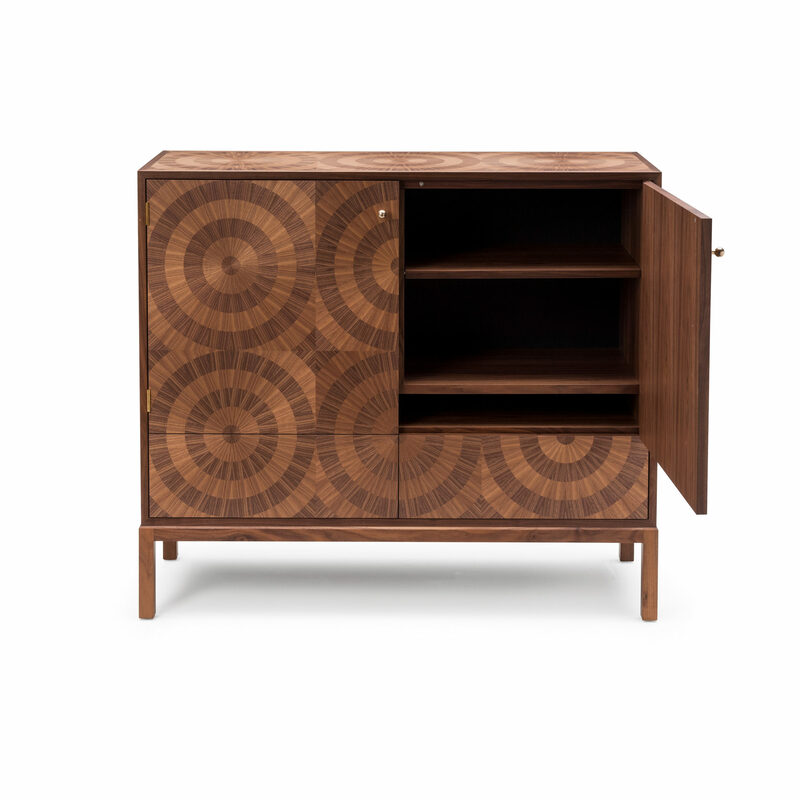 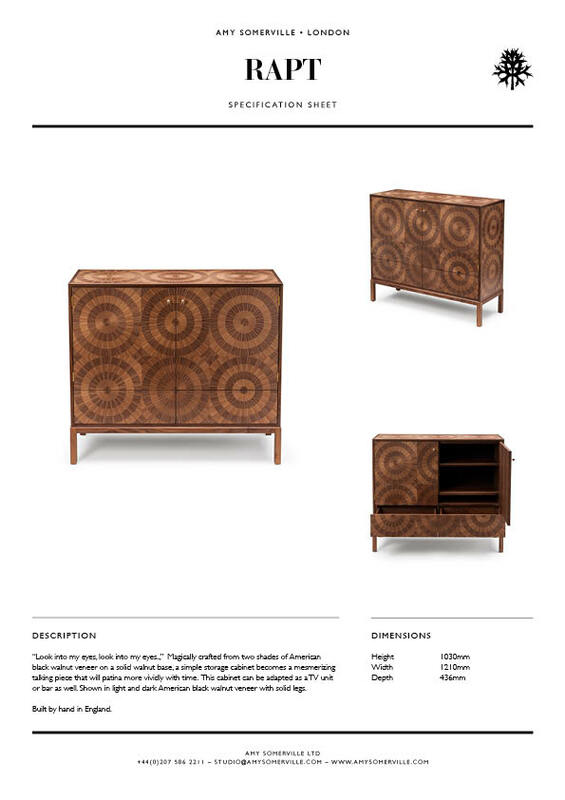 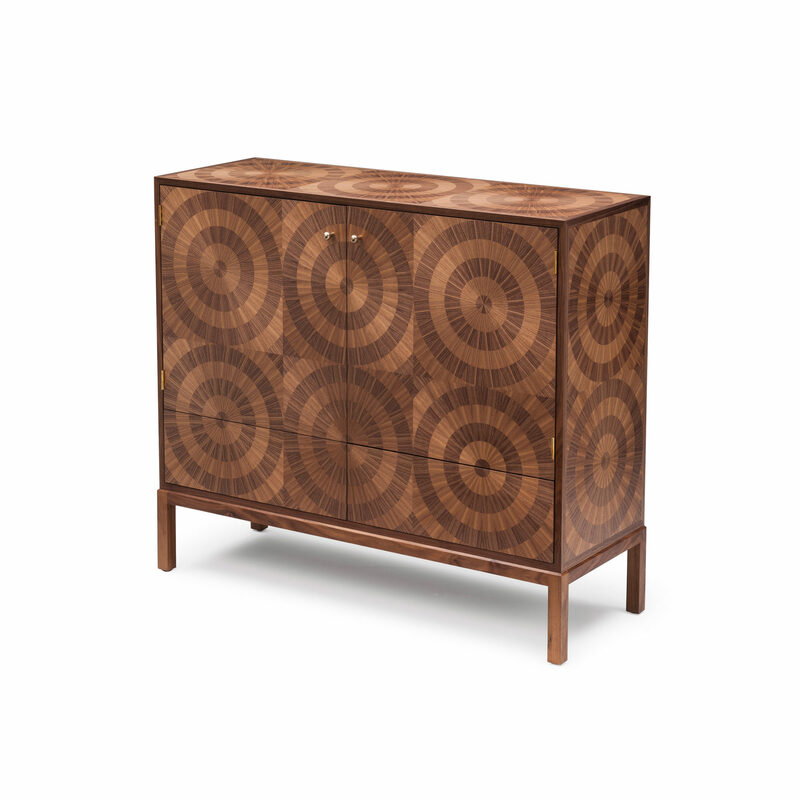 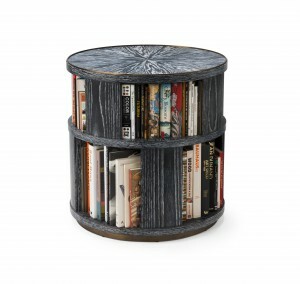 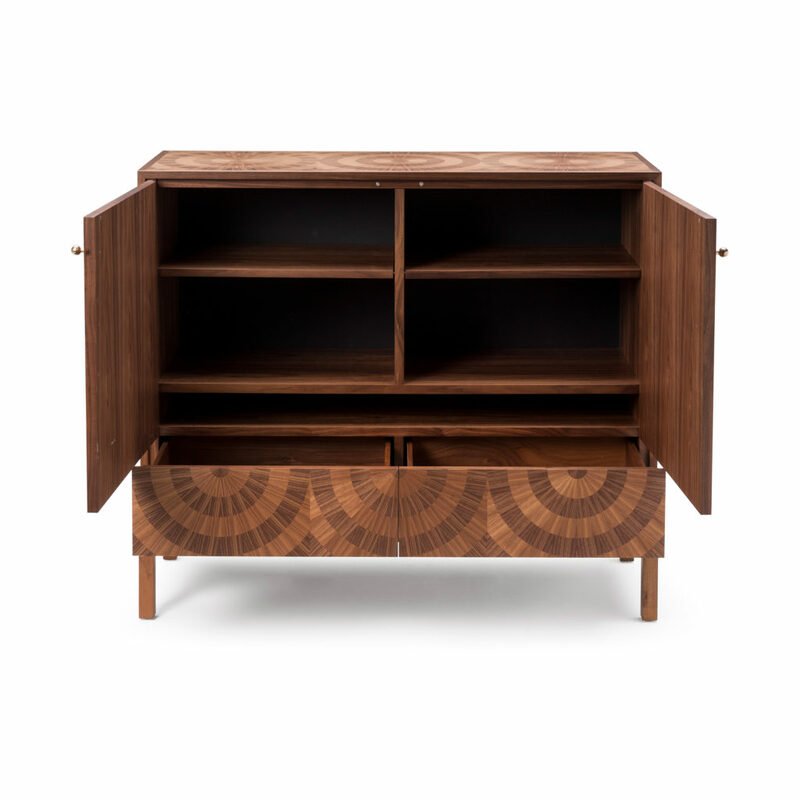 “Look into my eyes, look into my eyes..,” Magically crafted from two shades of American black walnut veneer on a solid walnut base, a simple storage cabinet becomes a mesmerizing talking piece that will patina more vividly with time. 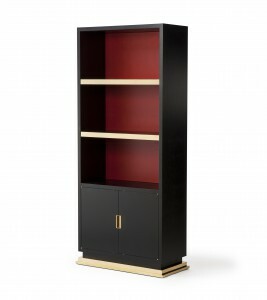 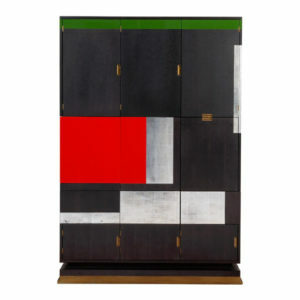 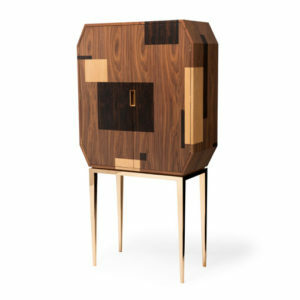 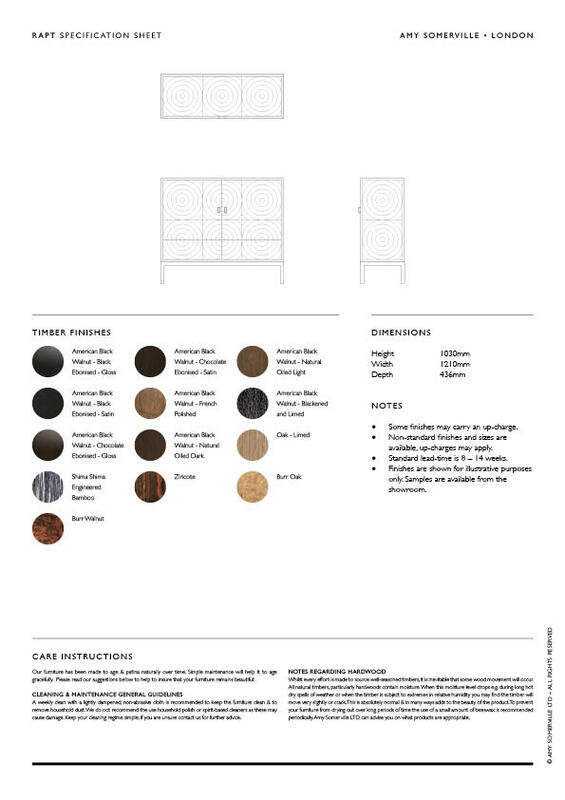 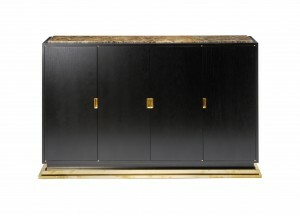 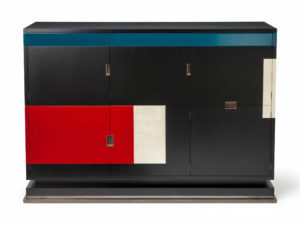 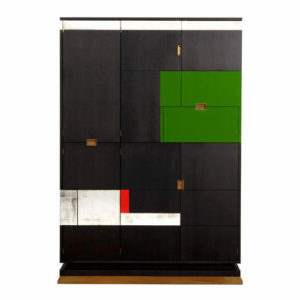 This cabinet can be adapted as a TV unit or bar as well. 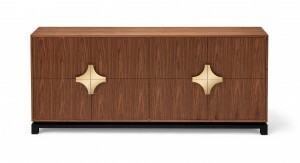 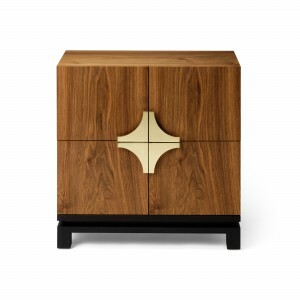 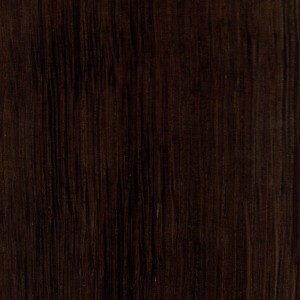 Shown in light and dark American black walnut veneer with solid legs. 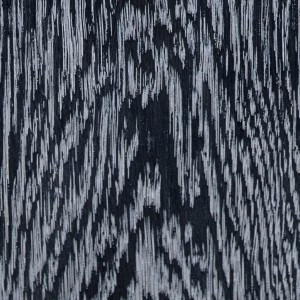 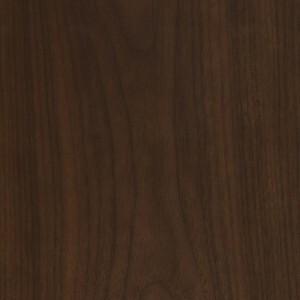 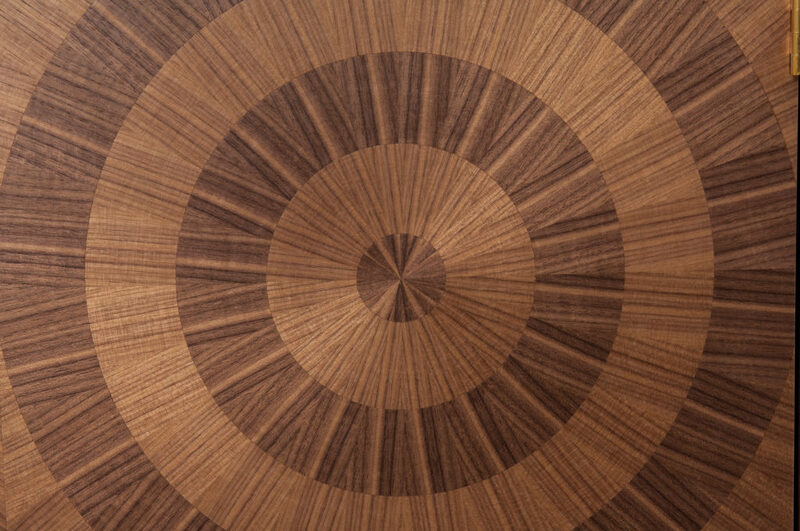 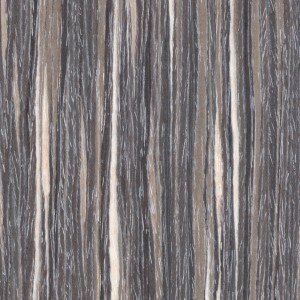 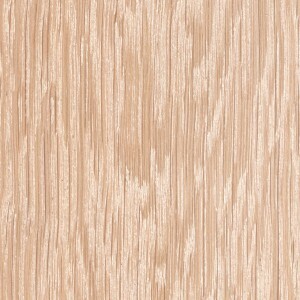 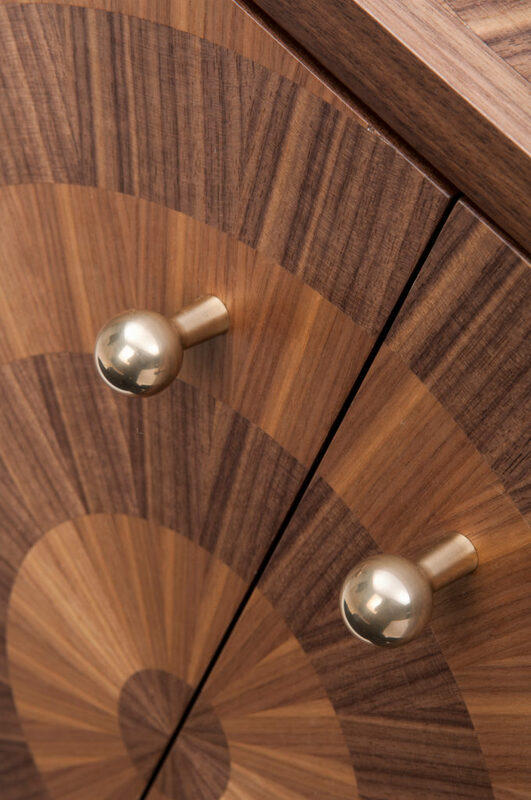 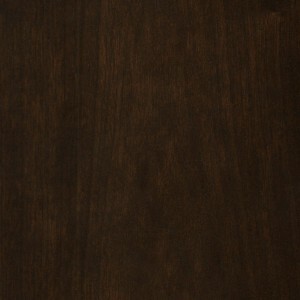 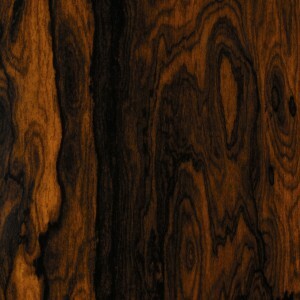 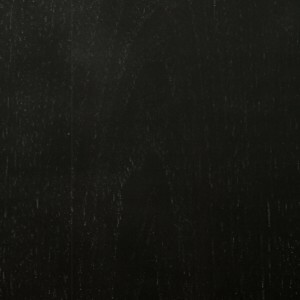 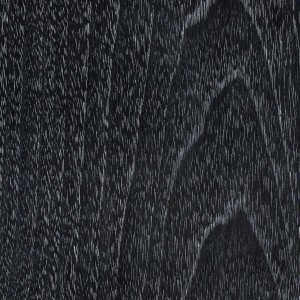 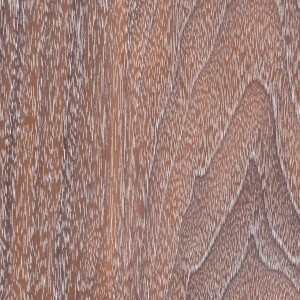 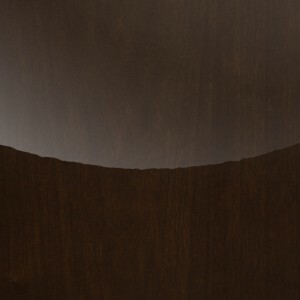 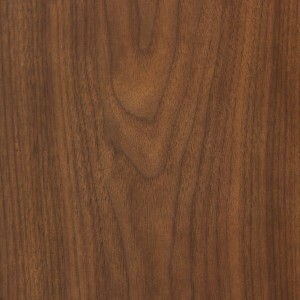 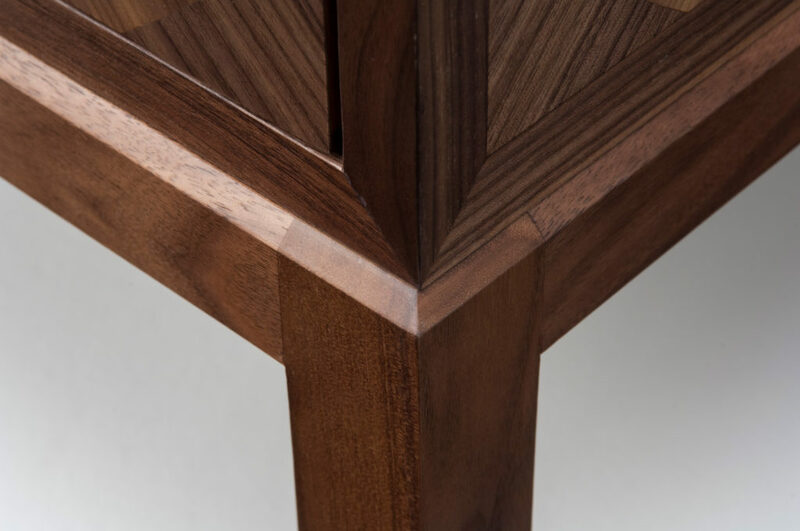 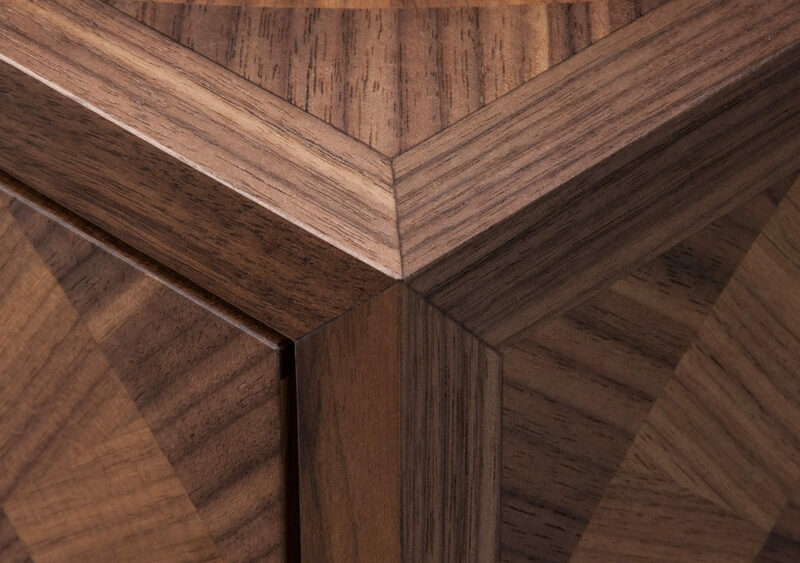 Precisonist lines meet natural American black walnut, a subtle but interesting contrast. 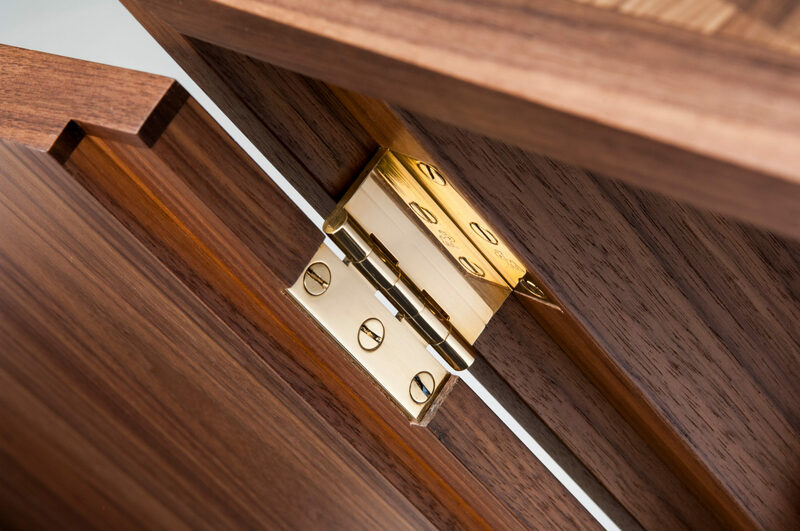 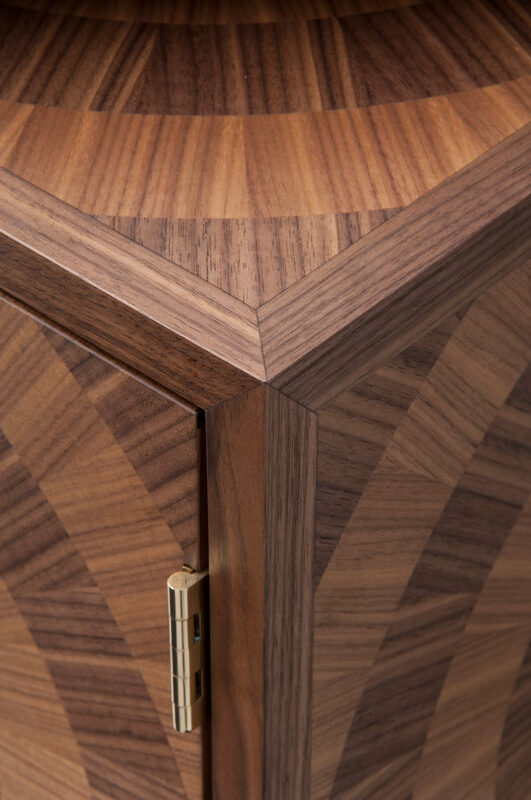 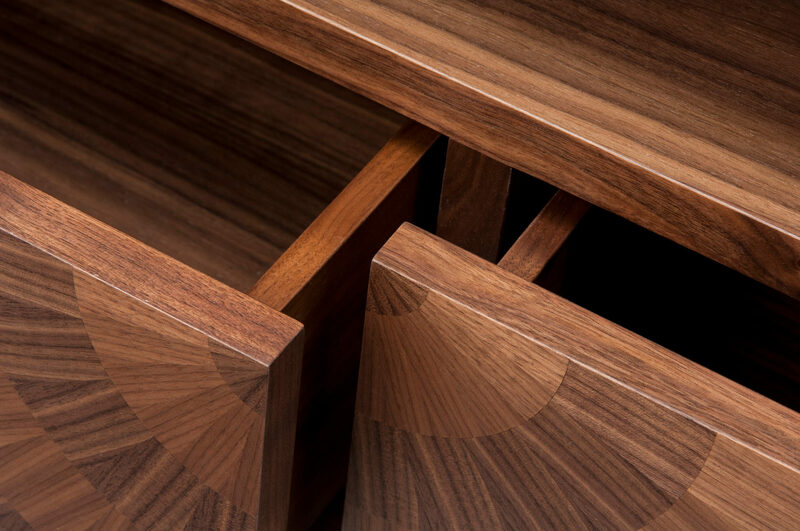 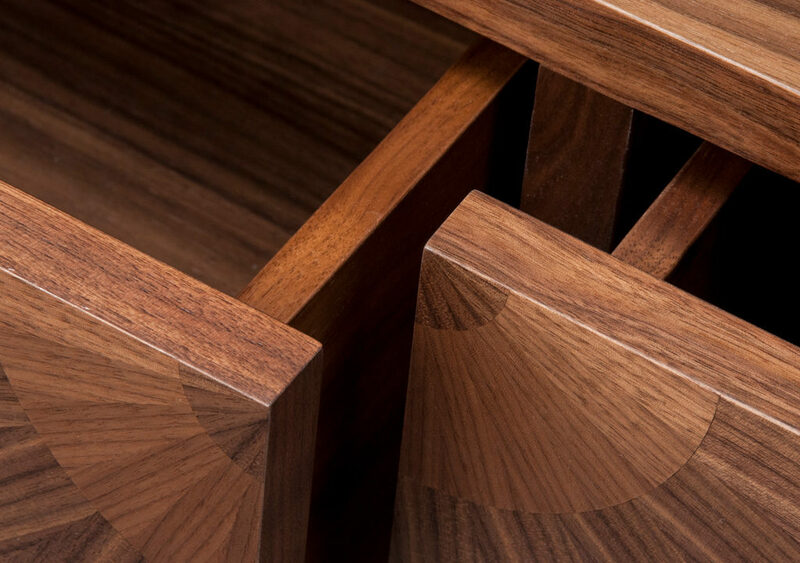 These hand-made drawers are of old fashioned dove-tailed construction, a detail that cannot be seen from the exterior but nevertheless adds a certain something to the integrity of the piece.